I've seen a few of these type of posts lately and have loved them so of course I had to do one of my own. 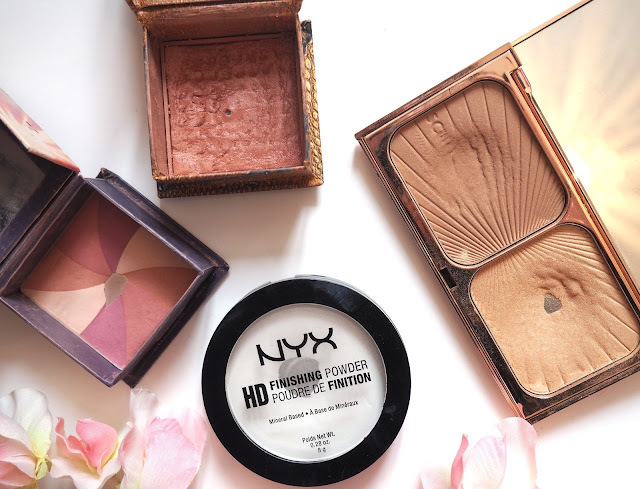 I've had a sort through my stash and found some products that I've 'hit pan' (excuse the blogger term!) on. Whilst I do use some of them fairly regularly some of them I actually haven't used in a while but you can see I showed them a lot of love at one point! Let's get started with a bit of a throwback. When I first started to get into make up (I'm talking my teens here) I was obsessed with Benefit and for years I only bought Benefit products, in fact I used to buy so many that the girls on the counter knew my name! That is when my love for the box blushers began, for these two in particular I used them tonnes and got them as soon as they launched. I don't use them so much these days but I do still like them and having had a little swatch I may have to reevaluate my current relationship with them. Hervana is a very light pink shade, it has several colours in the box that swirled together make up this shade. To me it almost looks a little lilac in certain lights. 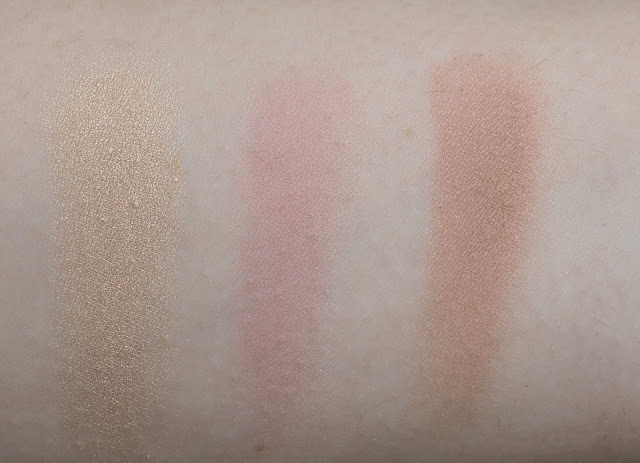 Personally I have never bothered to faff and try to use each colour on its own because the segmeents are kind of small but you could probably use it as eyeshadows in this way. Rockatuer is my favourite blush from Benefit, it has a subtle shimmer which gives a very natural and radiant flush to the cheeks and the dusty pink shade compliments my skin tone well. A bonus with this is that you could totally skip the highlight. The Nyx HD Finishing Powder is my current go to and you can see I'm getting through this pretty quick. I love this for several reasons- it's soft, easy to blend, blurs and makes your make up look seamless. It's also less messy than a loose powder! I am a slave to the Charlotte Tilbury Filmstar Bronze And Glow and I've made a pretty big dent in the highlight. This highlight is the perfect light, gold shade and I just love it for day to day use. The powder is super fine and glides on beautifully, I like that you can just apply a light sweet for a subtle glow or really build it up for a highlight pop on this cheek bones. I usually apply this to my brow bone and cupids bow too just to emphasise those high points on the face. Finally I have three Mac single eyeshadow pans. Naked Lunch was a shade I used religously all over the lid for a long time (as you can tell), it does such a good job as its a very subtle pink shimmer that is perfect as a base for other shadows. Satin Taupe is a shimmery, deep grey shade that I always turn to for a smokey eye, it has just the right amount of pigmentation making it easy to work with. Ahhh Woodwinked is just so pretty isn't it? This is one I come back to time and time again, especially when I want something that I can apply in two seconds but will still look amazing. This is the perfect brown, bronze shade and I find this looks best worn on its own, all over the lid and blended out. 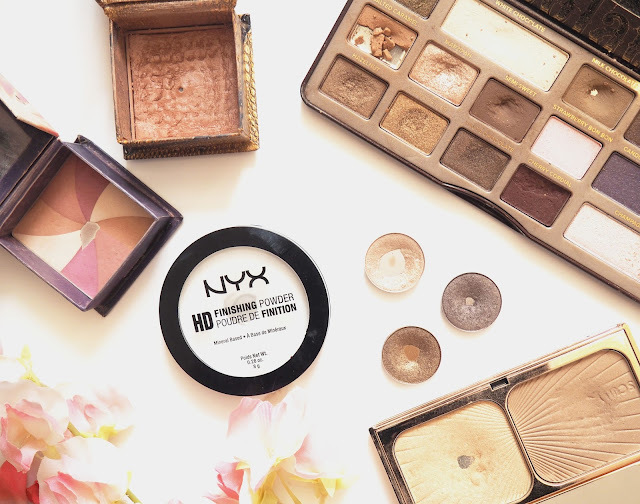 Which products have you hit pan on? Hervana is such a classic for me, I loved it since it was first released! 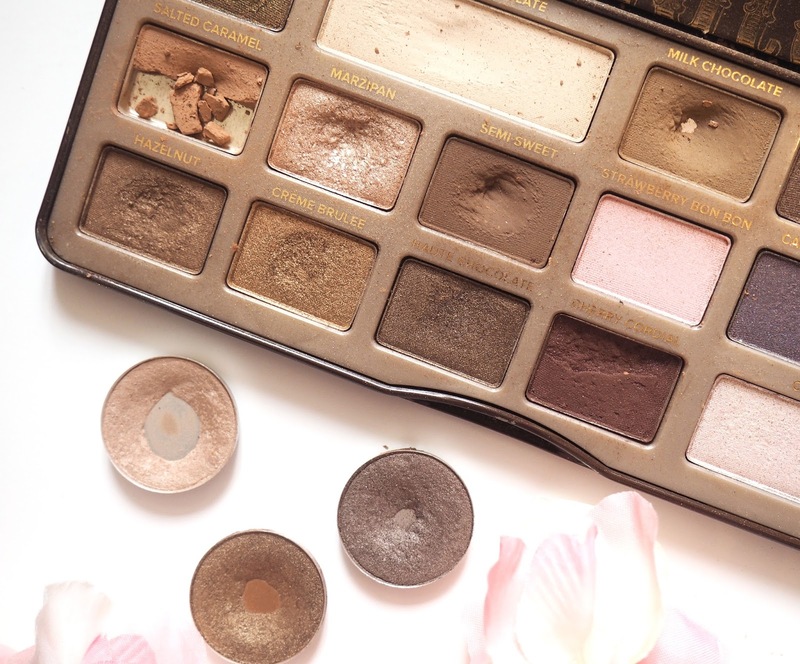 I hate hitting pan on products, it doesn't happen very often as I have far too much makeup.